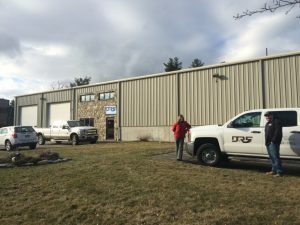 May 3, 2016 – DKI, North America’s largest disaster restoration contracting organization, today announced that one of its member companies, Disaster Restoration Services (DRS) of Middletown, Conn. has opened a new location in Hopedale, Mass. Since February 2016, DRS has been fully servicing Massachusetts as well as Connecticut. On Thursday, April 28, DRS completed all renovation for its new location at 9 Rosenfeld Drive Hopedale, Mass. The grand opening of the new site will be released shortly. Disaster Restoration Services can take any disaster clean up from start to finish. DRS is available 24/7 and services all of Connecticut. DRS provides services for: Water Mitigation, Fire Damage Clean Up, Storm Damage Clean Up and Mold Remediation. Not only can DRS do the mitigation, but DRS can also handle the remodel. Doing Restoration Strong! For more information, visit www.drscleanup.com.